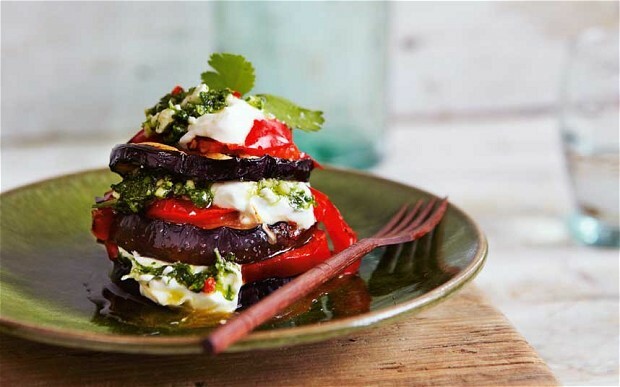 National Vegetarian Week – the best of the bites! 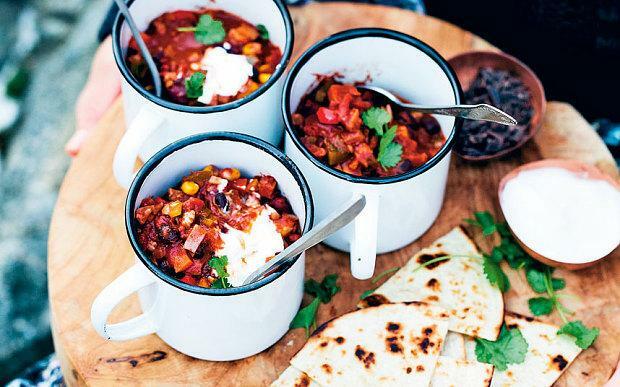 National Vegetarian Week is upon us, so why not try one of these delicious meat-free meals? These dishes are full of flavour, texture and colour so you won’t feel like you’re missing out on anything at all. 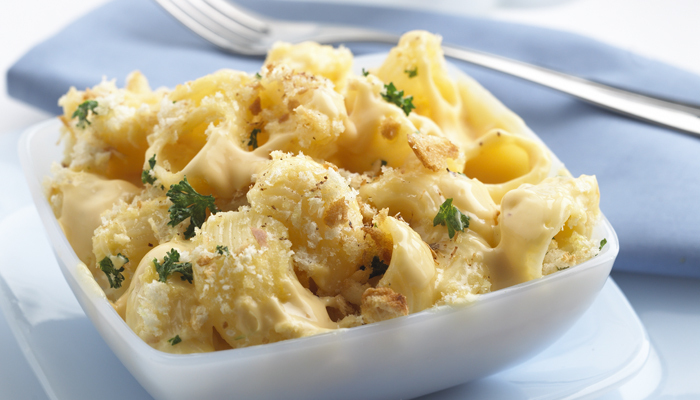 For the Pasta and Cheese lovers..
Whisk the evaporated milk, cream cheese and mustard well. Add the nutmeg and plenty of freshly ground black pepper. Bring 3.5 litres of salted water to a boil, and add the macaroni, slowly, making sure the water is always boiling. Stir for a minute to stop the macaroni sticking together. Test after about eight minutes – the macaroni should be very al dente. Drain well and add to the cream-cheese mixture. Mix a tablespoon of coconut oil and garlic and use this to grease a deep 20 x 20cm (8 x8 in) baking-dish. Spread half of the macaroni on the bottom of the dish. Scatter on half of the Comté and all of the stilton, cover with another layer of macaroni and finish with the rest of the Comté. Bake for 25 to 30 minutes, or until bubbly and golden. Boil or steam the green beans until tender with a slight crunch – about five minutes. Drain, place in a bowl and sprinkle with the chives. Heat the coconut oil in a frying-pan. When hot, add the breadcrumbs and pecans and cook for two to three minutes, until crisp and golden. Add the beans and toss to coat them well. Serve the macaroni with green beans and, if you wish, a few tomatoes on the side. Preheat the oven to 200C/gas mark 6. Heat one tablespoon of olive oil in a large pan, add half the mushrooms and fry until golden, about five minutes. Transfer them to kitchen paper, add another tablespoon of oil to the pan and fry the remaining mushrooms, also transferring them to kitchen paper after five minutes. Add the final tablespoon of olive oil to the pan and cook the onion and garlic for about four minutes, until soft. Add the spinach to the pan, cover with a lid and allow it to wilt for one to two minutes. Return the mushrooms to the pan, mix together and season. Use a rectangular dish about 24 x 18cm and spread a layer of white sauce on the base. Place three lasagne sheets on the sauce followed by a third of the mushroom mixture, another layer of white sauce and some crumbled cheese. Add another three sheets of lasagne and continue layering, finishing with the final three sheets of lasagne, a good covering of white sauce and a sprinkling of crumbled cheese. Bake for 35 to 40 minutes until it is cooked through and the topping is bubbling and golden. Serve with a side salad or garlic bread. Preheat the oven to 190°C/375°F/gas mark 5. Halve the peppers and remove the seeds and stalk. Put into a small roasting-tin and brush with olive oil. Season. Roast for 35 minutes, or until the peppers are tender and the edges of the flesh are slightly scorched. Meanwhile make the pesto by putting everything, except the feta and chilli, into a food processor. Whizz to a purée. Season to taste, then scrape into a bowl and add the feta cheese and chilli. Heat the oil in a large heavy-based saucepan or casserole over a medium heat. Add the onion, garlic, spices and oregano and cook for a couple of minutes, stirring occasionally, until the spices smell fragrant and the onions are soft but not browned. Add the peppers, carrot, sweetcorn and celery and cook for another couple of minutes. Add the walnuts, beans, tomatoes, 250ml (9fl oz) water and salt, bring to the boil, then reduce the heat and simmer for 20 minutes. Stir in the chocolate and cook for a couple of minutes. Taste and season. Serve in bowls, garnished with a dollop of yogurt and chopped coriander with toasted corn tortillas on the side. Any leftovers can be stored in the fridge for three to five days.